If you (or your child) are off to university this autumn and planning on living in halls, you may (or may not) have started thinking about decorating your new uni bedroom. Moving away for what might be the first time can be daunting, so having a space that is comfortable, reflects your personality or feels like home can make the transition that bit easier. 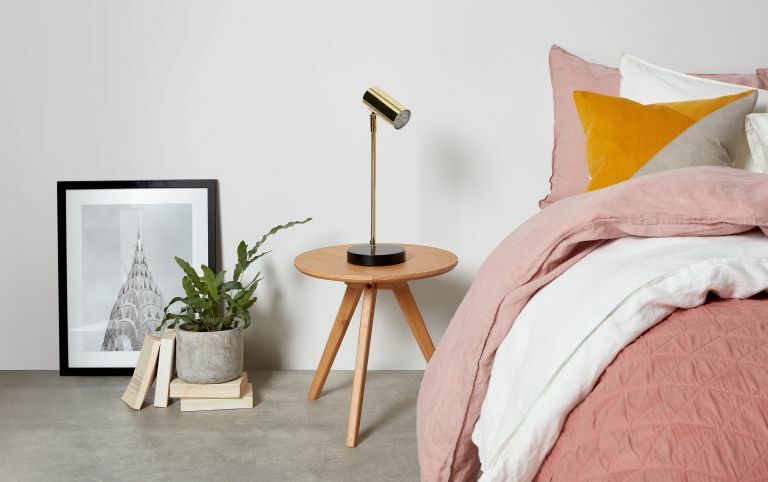 To make sure you've got everything you need for a stylish space, we've come up with a list of 10 essentials; they're on-trend, affordable and will suit any sized bedroom design. Be it a hall of residence built in the 1970s or a Victorian terrace in the local town, it's not unusual for your university accommodation to fluctuate between boiling hot and freezing cold during the year, so it's best to be prepared for all circumstances. When choosing out a duvet, make sure it's made from a breathable fabric and preferably a design where two single duvets can be joined together or taken apart, ensuring the perfect level of warmth throughout the year. This Synthetic Soft Touch Washable Duvet from John Lewis is the perfect example. Uni rooms can feel a little sterile, so it's a great idea to inject a little personality with a patterned duvet cover – choose something fun that suits your style. We love this Provinsros Duvet Cover from Ikea. Cushions are an easy and affordable option for sprucing up a bedroom, allowing you to incorporate colour, patterns and trends – they're also useful if you're inviting friends over and have run out of chairs. Try H&M Home for cushions that suit every space. While most uni rooms come equipped with a standard desk lamp (perfect for all those evenings you'll be spending studying), you may want to consider investing in something a little more atmospheric, too. We love these Leo Paper Star Fairy Lights, available at Lights4Fun. Decorate your walls or noticeboard with a combination of photos of friends and family – it's really fun to add to a photo wall as the year progresses – and unique colourful, quirky prints. The combination not only adds colour and personality to your space, but makes for a really good talking point in your first week. Find similar prints at Abstract House. Though you may not wish to believe it, there will be times during your first year at university where you have to study. To give yourself as much chance of success as possible, it can be motivating to design a work space that you love. Opt for stylish stationary, inspiring images and a wall planner that will allow you to keep track of your deadlines – take a look at our home office design ideas for more inspiration. Find this Magnetic White Board and stylish Wood Finish Storage Jars, along with other desk accessories, at John Lewis. House plants have been proven to improve our moods, as well as increasing productivity, which makes them the perfect addition to a uni bedroom – have a read of our guide to houseplants before choosing a species that suits you. We'd recommend something that's both stylish and low maintenance, like a succulent. Find them at Ikea. Investing in a laundry basket is the best option for keeping on top of your washing and will make life easier during the walk to the laundry room. They're generally best stored out of sight, at the bottom of a wardrobe, so make sure to choose one that's lightweight and easy to carry. Find this SNAJDA laundry bag at Ikea. It quickly transforms into a laundry bag for easy transportation to the laundry room. A popular decorating option for bedrooms, wall stickers are an easy and affordable option that adds colour and interest to a space. Mess free and easy to remove, they are ideal if you are renting or in halls of residence. We love these Colourful Confetti Stickers from Tenvinilo. Transform your uni bedroom instantly with the addition of an on-trend, boho insired wall hanging. Easy to hang, they're a great option if you're looking to add interest to a space quickly. We love this Bohemian Traveller Woven Hanging from Sainsbury's Home. Looking for more uni bedroom inspiration?